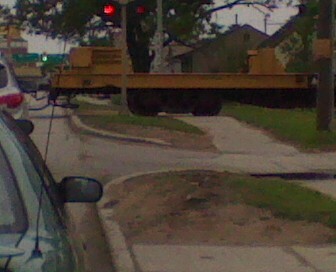 I was biking to work when this train decided to stop on the tracks in front of me. It backed up and moved forward a little for thirty minutes, but mostly stayed stationary. I ended up parking my bike and sitting on the grass waiting. Finally it cleared the tracks and I was able to go on my way.